Hello, my fellow sewist. The fall season is finally here, however, in the deep south fall weather doesn't officially hit until mid-October or November. Nevertheless, I really wanted to try out a pattern for my niece that could be used to make fall dresses in the future. Enter scene, Annelaine patterns Feather Dress. I have been eyeing this independent pattern company's site for awhile. Luckily, there was a fall sale a few weeks ago (hooray for instagram) and all patterns were 50% off. I own several digital patterns but this is my first time actually printing one. To be honest, the only reason I printed the pattern is that it is a children's pattern and I figured there wouldn't be a lot of pages to tape together. Well, I was right but it reconfirmed that I will not be doing any print at home patterns for adult garments. I simply do not want to use my valuable sewing time taping a pattern together. I really do love this pattern and I am glad that I purchased it. I used my twin needle for the first time and I must say it wasn't bad at all. I told myself that I would use my serger to make all three dresses, but that did not happen. 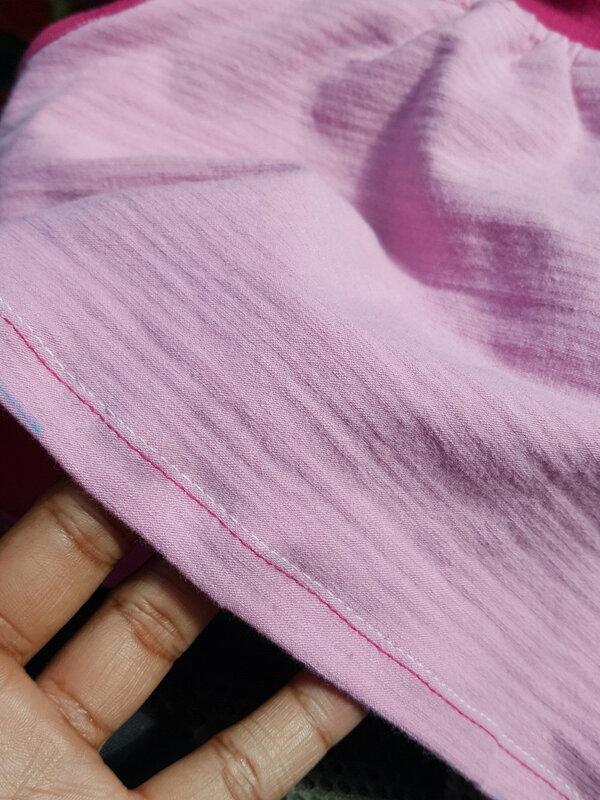 I kept ending up with gaps in the finished seam because I wasn't catching the seam allowance entirely while serging. Clearly, I need to practice more on sewing garments completely with my serger. Sidenote, JJ is totally in love with the dresses. It is probably because most of her outfits usually have faux pockets. She enjoyed shoving her hands in the pocket. As always, I included a pattern review below, enjoy! High/Low knit dress with optional elastic waist, multiple sleeve options, and optional pocket. Yes, with the exception of the peephole/button closure on the black and white dress. The gray and black dress do not have a high/low hem. Yes, the instructions were simple. It also included detailed pictures along with each step. What I really liked about the pattern was all of the options. You can get so many different looks simply by removing the pockets or adding pockets with binding. I also love that I can make this dress using scraps leftover from other projects. What I dislike about this pattern is the elastic insertion. I made this dress three times and followed the instructions but inserting the elastic was a pain in my behind. For the very last dress, I cut one seam for the elastic casing and this helped a bit. As mentioned above, I used fabric scraps to create each dress. The pink dress is knit from mood fabric and Joann. The black and white dress is knit from fabricmart. The gray and black dress is knit from Hancock (now closed) and Walmart. I made a design change to the black and white dress. The knit did not have as much stretch as needed for the neckband. When my niece tried it on we struggled to get it over her head. My solution to that problem was adding a button closure. I also decided to use the front pattern piece to cut the front and back skirt piece on the black and gray dress. Lastly, I finished the hem on the black and gray dress with double fold bias tape instead of the twin needle. Yes, I will and definitely will be recommending it to others. 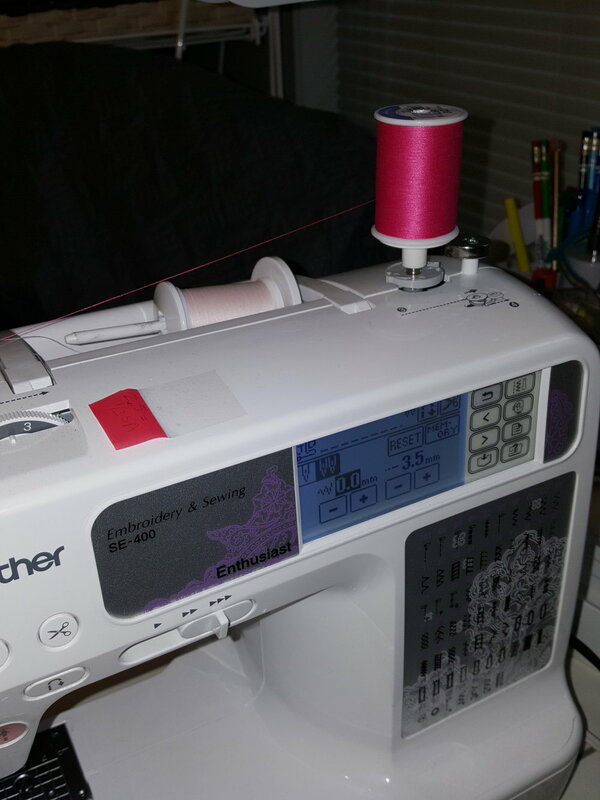 Twin needle worked great! I am not sure why I took so long using it but I am glad I tried. I think I printed and taped 18 pages in total. This is the button closure that I added to add more room in the neckline. Finished this dress hem with black bias tape.